If you are selling or planning to sell your house, first of all, congrats! Secondly, make sure you take care of a few steps during this process to make sure it’s smooth and you get everything set up accordingly. Get your home security system notified and updated! The last thing you want to happen is for someone to get into your home, forgot that you had a security system set up, and have cops roll up on them questioning everything they’re doing. I know this might seem like total common sense, but it happens more often than you may think. Especially when a homeowner has sold a home and they’re not going to another place where they are setting up a security system again. It just tends to totally slip their minds! But if the home is sitting while you’re attempting to sell it, notify your security company. When a home is vacant and sitting on the market, people that regularly pass by may begin to notice that there’s consistently no one occupying the home. Either someone breaks in to look for things to steal. Or you might acquire some brand new squatters! Squatters will stay there for as long as you let them, and if you aren’t checking up on the home, you may never know that there’s anyone living there at all. And once it’s time to show some potential buyers, you have a not so pleasant surprise with broken windows, damaged floors, or, well, some poop. Not the greatest things to come home to, or to be the first impression of your house. You gotta get everything updated. First, check to see if the necessary hardware is there. Many homes don’t have security systems installed at all, especially if it’s an older neighborhood. And if they do, that hardware might either be incompatible or it’s just too outdated to work with the latest systems. The hardware may also only be limited to the doors instead of doors and windows, so be sure to get someone to check that out. 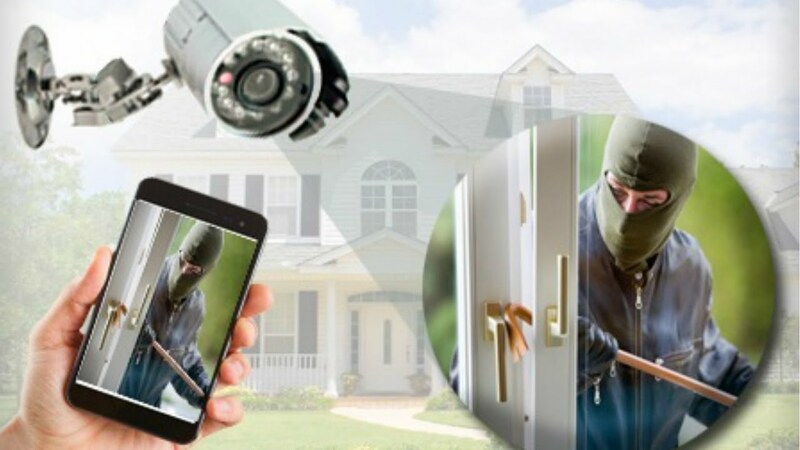 If you want to get more advanced with it, you can update other components of your home for security, like getting an IP camera doorbell so you know exactly who is waiting at your door. You may also want to invest in some awesome outdoor security cameras for the perimeter, which tend to reveal things like thieves that steal packages. If you’ve purchased a project home, make sure you know every single inch of that home because you never know what’s been done to that house. Seriously, secret rooms are a thing. Express Houston Home Buyers (https://expresshoustonhomebuyers.com) has shared that they’ve had a LOT of weird things happen when they bought older homes that needed a lot of work. Secret safe spots, homes, and similar things have been found in super old homes that have been modified. Know what’s around your area. Where are the dark alleys, police stations, parks, hospitals? What are some escape routes during emergency situations like floods, fires, or other danger. Knowing this about your new home area will drastically help in case of any emergency, because you’ll already know what to do or where to go, using that as a frame of reference. Make sure you check out some of our other articles about home security to start reinforcing your home and making sure everything is good when moving into a new place. Bad plumbing and electrical work can be very dangerous and costly. This is why it is good to ensure that the plumber you choose for your project is qualified. Never ever try getting your plumbing work done cheaply by an unlicensed plumber as you could end up regretting. So, today, I have decided to write this article to help you find a qualified plumber who offers quality services. A plumber has to undergo training and pass an exam to be given a license. Therefore, a licensed plumber knows the ins and outs of plumbing and can offer good plumbing services. With a licensed plumber, you can have peace of mind since you can be sure that your project is in safe hands. If you would like to verify whether a certain plumber is licensed, look for the information online as professional licenses are usually public record. Many states often have an easy to search database with this information meaning that you can easily check if the plumber you want to hire is licensed. A plumber with liability insurance is covered for any mistakes, mishaps or accidents that may occur on the job. What this means is that you can be compensated for damages in case your plumber accidentally floods your house or set your house on fire. There are many review sites that can help you find a qualified or electrician. Your Electrician Melbourne has many great reviews, which shows its a reputable company. Search for the plumber you want to hire in this sites and compare the plumber’s positive and negative reviews. Only consider those plumbers with more positive than negative reviews. One good thing about reviews is that they help you find out about a plumber’s punctuality, the prices a certain plumber charges and the plumber’s courteous. Your state’s licensing board is usually the best place to find out about a plumber’s complaints. Qualified plumbers usually have fewer complaints as they offer satisfactory plumbing services. Stay far away from a plumber with a lot of complaints as this indicates that the plumber offers substandard plumbing services. It may also be a good idea to check with the Better Business Bureau to find the kind rating a certain plumber has. Qualified plumbers always provide references whenever they are asked as they are proud of the services they offer. Once a plumber gives you references, call each one of them and ask them questions about the experience they had with the plumber you want to hire. There are times when bad things happen to our homes, ranging from natural disasters to wear & tear and even vandalism. In any of those scenarios, sometimes a home can no longer be legally inhabitable, and even if it was you really wouldn’t be able to stay there comfortably. When a home is so damaged that it is either beyond repair or it can cost a significant amount of money, there aren’t that many options. Selling a home in the traditional sense would be nearly impossible because buyer agents are looking for a ready-made home that a buyer can immediately move into. But if a home is too damaged, that will exclude a majority of potential buyers almost immediately. We’ve mentioned real estate investors before on our site, and there’s a good reason for that. We often get contacted by those that are unsure what to do with their property because they either can’t live there anymore or they are simply unable to get rid of it. The alternative to dealing with home issues and inability to sell to a buyer is to use an investor. Because they don’t rely on agents, MLS, mortgages, or negotiations in the traditional sense, they can avoid a lot of the red tape that agents have to deal with. As Home Buyer Houston states, an investor has the ability to draw upon cash reserves and make offers 100% in cash, and they will purchase the home as-is in any condition. Because of that flexibility, they are able to avoid all agent commissions and will cover the closing costs involved in the sale. Additionally, homes can be closed within a week, which makes them a saving grace when it comes to foreclosures and divorces, which are time sensitive. The downside to a real estate investor is that they will generally try to low-ball an offer because they do need to have it lower enough to make a profit. Because of that, they know that the best homes are ones where the homeowner really needs to get out of a sticky situation or else they stand to lose everything without any cash in their pocket. While homeowners look at the opportunity cost lost, they are generally thankful for the bailout that they otherwise wouldn’t have been able to catch. For the Texas market, Houston’s wholesale companies are able to find buyers for homeowners that really need to get their house sold quickly, so sometimes that’s an even better, faster option for those that are in trouble. If you’re in a tough situation and the property you own is turning out to be more of a burden than a blessing due to a situation or the state of your home, reach out to a real estate investor before it’s too late. There are plenty around in almost every city that are willing to lend a helping hand. If you’d like to go through our connections, feel free to let us know and we’ll hook you up with a network of investors can assess your home and give you a cash offer. Sometimes selling your home is easy when it comes to going the traditional way. But at other times, you need to liquidate quickly, and a real estate investor can help you do that. Home security in 2018 is all about home automation. However you can make your home smarter, you need to be doing that if you want to keep up with what’s trending. Smart homes are all about better security, and they are about making sure that you keep your family safe. Of course, smart homes also come with many conveniences, and there are many great aspects to them. There are also going to be some hangups early on when it comes to newer technology. That doesn’t mean that you shouldn’t try out new technology, but you might want to wait for the dust to settle on some things before you just stick your hand in the cookie jar. Just think about the news reports that have surfaced after the whole Amazon deal where they created a way to make home deliveries safer. They provided technology to homeowners that made their homes smarter and allowed delivery drivers access to their homes in the process. It was all about leaving deliveries inside so that they wouldn’t be on people’s doorsteps. Just like clockwork, problems started to surface. It is an example of new technology that needs the kinks worked out. It is also an example of technology that to me takes things a bit too far. I don’t want anyone having access to my home. I don’t know about you, but I’ll settle for trends that are a little less invasive. There are other aspects of home security and home automation in 2018 that are rather neat and not so intrusive. What aspects of home security are you planning to implement in your home this year? You don’t have to do everything at once. What you should do is take a look at some of your options, and take it a step at a time. Think about your home security system in general and what improvements could be made. Perhaps it is time to add some security cameras. Have you considered solar powered security cameras? Just look up best wireless home security cameras for 2018. There are also solar lights that you can set up outdoors, and you can do all kinds of things to make your home safer. Again, just take things one step at a time so that you can have a safer and more secure home. Once you start making those changes, you will see a plan come together more and more. That’s what you want to see happen for your home in 2018. Why Stay If It’s Not Secure? Home security is not something to be taken lightly, and we definitely suggest making sure that your family is protected at home. But sometimes, depending on where you live, there’s only so much you can do in the way of preventative measures. Alarm systems can either scare of an intruder or alert the police after the fact. There’s no sure-fire way of preventing all harm when living in a bad area. That’s why one of the things we suggest is really taking a look at where you’re at and what you can do with the property before things get any worse. Don’t get us wrong, we love installing security systems, but human life is most important and when a security system can only do so much, we definitely want people to stay safe by making the harder choice. It can often be a challenge to sell a house that’s in a not-so-great neighborhood. That’s why we suggest checking out options with a real estate investor who can help you go through the process of selling your home fast due to the nature of how they operate. With traditional sales, you have to wait for a buyer, negotiate, make repairs, then go through the title process. With an investor, they usually have cash or a hard money lender who is willing to put down that cash immediately. You can avoid closing and repair costs and have a home sold in a week or less. In the meantime, you can search for a new home, get pre-approved, and use the proceeds from the sale as your down payment. Once you and your family are in a safe and comfortable place, THEN give your local security company a call to give you that added protection! Posted in Real Estate | Comments Off on Why Stay If It’s Not Secure? For most people a home is the largest investment that they will ever make. However, a property that you and your family will be living in is not only a financial investment – it is an investment in the future happiness of that family, a place where everyone can feel secure and happy. However, as with all investments it will require careful management and maintenance. The modern home is comfortable and allows the people who live within its walls to enjoy a level of safety and convenience that until the 1940’s was relatively unknown. Today we have hot and cold running water, washing machines, dishwashers, indoor toilets, showers and baths. However, the convenience of these fixtures and services has also meant that our plumbing systems have become increasingly complex. It is therefore extremely important that the homeowner pay extra attention to the plumbing of the home. One of the ways to do this is to have a certified plumber on call at all times for that inevitable occasion when the plumbing does fail. This is important not only because the failure of any plumbing system can inconvenience the homeowner and their family – and in some cases cause a threat to the health of the people who live in the house but also because it can have severe financial consequences. For instance the failure of a hot water geyser can lead to flooding and damage to household furnishings. Of course the homeowner can claim for these damages (if he or she is covered) from their insurance company – however it is almost inevitable that this will cause an increase in premiums – and this has long term financial consequences. So how does the homeowner find the correct plumbing service provider and what criteria should they apply to ensure that the plumber is the right person for the job? First, it is essential that the plumbing service provider that you select is able to respond to any plumbing issues on a 24/7 basis. Unfortunately, plumbing emergencies do not only happen during daylight hours and when disaster strikes you need to know that you can get assistance quickly no matter the time of day or night. Also make sure that the plumber that you select is certified and part of a reputable operation. Nationwide plumbing chains offer exceptional service and many of them have been around for years – which is testament to the exceptional levels of service that they offer, but you can do well with a local Houston plumber as well. If you are in doubt about the quality of the service that is offered – or if you have moved to a new home and have family and friends in the area always ask them if they have any recommendations as far as a plumber is concerned – they are your trusted sources of information. If this is not the case then ask the plumbing service provider for references so that you can enjoy peace of mind that you will be receiving only the best levels of service from a qualified plumber. Credit for the information in this article goes out to Belknap Plumbing. Home Security Systems Advice: What To Consider? The FBI reports that more than 2 million homes are burglarized in the United States every year. Most homeowners rely on home security systems to protect their homes. In fact, whether you plan to renovate your home or move to another town, a home security system is an essential component for your safety. Although it is one of the best investments, buying the right system can be a bit overwhelming with the available choices on the market. Here are important things to consider when buying a home security system for your home. The best home security system will offer peace of mind. In fact, you need to feel that your family is fully protected and receiving the best security for the money you invest. You should choose a service that you can maintain on a regular basis. In fact, every family will have their own financial problems. Hence, you should be able to continue with the service you choose and know that your family and property are fully protected. Home security is an industry that thrives on the latest technology. Ask the company about the latest devices and systems they use to protect your home. The wireless home security system is the latest trend in the industry. This system connects all your appliances without the hassle of wires. It is a nice feature and should be seriously considered if you are in a position to afford it. A burglar system differs from a home security system. Like the burglar system, the home security system will also protect you against unwanted visitors. But the home security system will additionally protect you from environmental threats. Threats such as floods, natural gas buildups in the house, and fires are some of these environmental threats. Each of these threats can damage your home and cost you much more than the annual cost of the home security system. You also need to remember that one size doesn’t fit all when it comes to a home security system. You should customize the system to match your lifestyle so that you get a better level of security at an affordable price. The security system should take into account your schedule in order to devise the best security plan for you. These are important things to consider when choosing the best home security system for you and your family. If you or someone in your family has a medical condition, you should get a security system that incorporates a medical alert system. Many security systems provide wristbands with a panic button in case of a medical emergency in your home. This feature is added for an extra fee. Even though you may have to spend a little bit extra on such a feature, the knowledge that your loved one is monitored on a constant basis is quite reassuring and hard to ignore. On the other hand, a good home security system reduces your home insurance premiums by at least 20%. The signs that display that a security system is installed in your home could deter burglars from breaking into your house. These are some of the important advantages of having a reliable home security system installed in your home. Although there are many providers who offer some of the best home security systems on the market, there are also fly-by-night providers who are only after your money. That’s why you need to conduct a thorough research before buying the right product to suit your personal needs. The Internet is a great place to search for the best home security system on the market. Search Google or Bing for the best home security system, and you should come up with a list of providers out there. Check the products and special features of these providers. Compare the prices offered by each provider with the features of their products before you decide to buy the best home security system on the market. It should help you select the best product at an affordable price. In conclusion, home security systems are very helpful to protect your home from burglars and environmental threats. The above article provides information on what you should consider when choosing the best home security system. Posted in Default | Comments Off on Home Security Systems Advice: What To Consider? 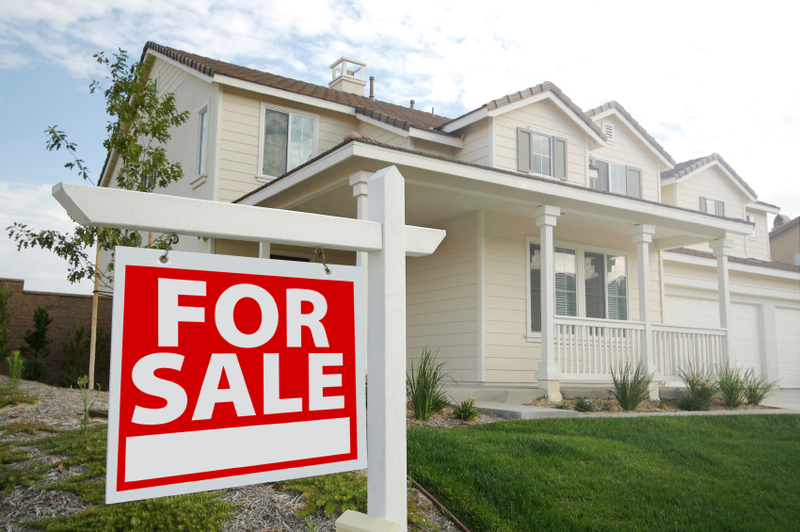 Have You Considered Selling Your House To A Real Estate Investor? Trying to sell your home in today’s market could go either way for you. It really depends on the property in question and what you plan to do to market your home. There are other circumstances involved, of course, and selling a home isn’t always easy. Some homeowners wait months and even years before they are able to get the price that they want for their home. Meanwhile, they pay for maintenance and repairs and upgrades and utilities and taxes. Real estate is an investment, but the average person isn’t always able to take care of more than one property. Perhaps you are ready to relocate or take on another mortgage. Maybe you are in dire financial straits and need help. Even homeowners who are just simply trying to sell their homes don’t always want to wait months or years, of course. In that case, there is another option. You can contact real estate investors that make cash offers on homes. Not only do they make cash offers, but they make them within days. As a matter of fact, you could have the cash in hand within days. And you might be surprised at just how quickly they do make you an offer. They are excited buyers for any property, and that should help alleviate your concern for selling your home quickly. However, you do want to make sure that this is the right choice for you. If you were to sell your home for a price that is much less than what you wanted, then that might not do you very good. However, you do have to think about all the different expenses that you’re going to be leaving off the table. For starters, you’re not paying an agent commission for sure. The company of investors is going to handle the closing, and they will also not require you to make any upgrades or repairs to your home. That sounds like an easy sell, and it is, but the price is always the catch. In other words, you’re going to have to be comfortable with the offer they make on your home. There is only one way to find out what that offer is going to be. You make that call, talk about the property with the investors and see what they have to say. They are supposed to be willing to buy any property, so you shouldn’t have any worries there. It really should be all about whether or not the cash offer is good enough. You will know very soon. There are also other advantages that the investors bring to the table. It sure would help if you could go ahead and seal the deal and move on, but you want to make the right decision, a wise decision. After speaking with the real estate investors, you will have to decide what you want to do based on your current situation. Only you will know what that is and what you need to be doing when it comes to trying to sell your home. Check out the Houston We Buy Houses team at Sell My House Easy Fast to access a wide range of real estate investors that can purchase your home with a quick, fair cash offer. Posted in Real Estate | Comments Off on Have You Considered Selling Your House To A Real Estate Investor? Home security services coming soon.